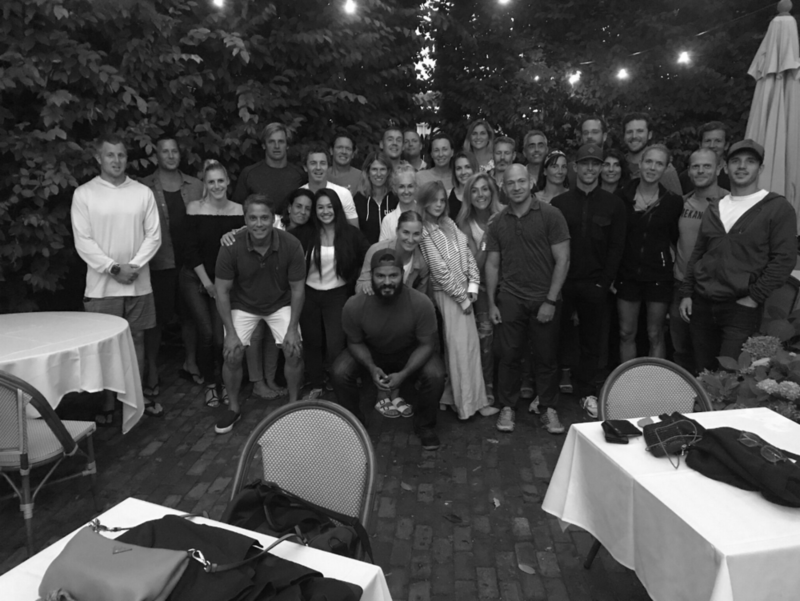 It is difficult to know where to start when breaking down my experience at the XPT event in Montauk, New York. 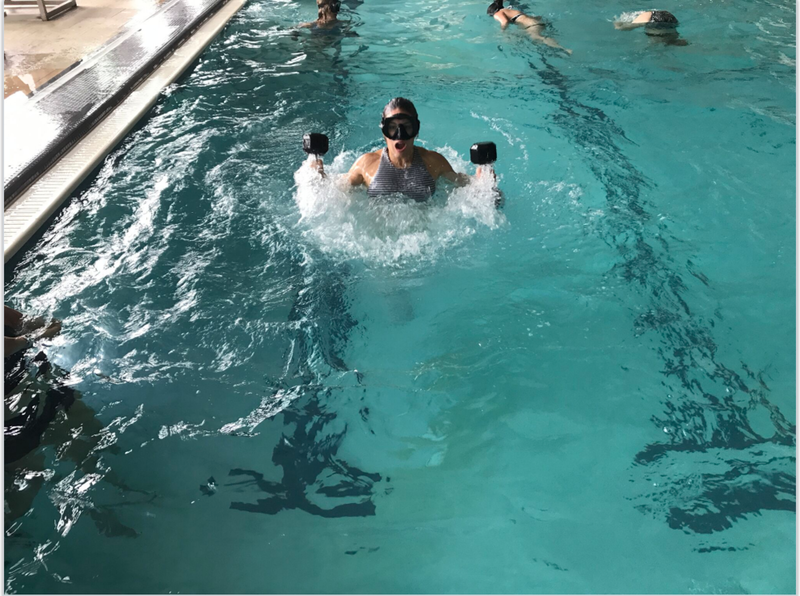 Let me first begin by explaining what XPT is… Focused on the three pillars of: Breath, Movement, and Recovery, XPT (extreme performance training) is a lifestyle system that encourages the full commitment of the body and the mind to optimal health. The three pillars are woven throughout the three days of the experience, each day leaving you with more information than before. After the experience I left feeling dazed, happy, and empowered to keep on keeping on with my business and vision. I could break down each of these activities and explain the why and how, but I feel my explanations would be yet another iteration of what others have said before me. If you are interested in the breakdown of all of the XPT activities, click the links above. Some aren't linked because I don't think you really need information on HITT or Paddle Boarding but if I am wrong, shoot me a message. I hope you can read all about the activities we did and gain some inspiration to try a new movement. But at this point in my blog, something I would like to impress upon you, my lovely reader, is the power of the people in the training. The myriad activities, movements, and trainings can only do so much, but when they are taught and facilitated by amazing humans, your whole body straightens up and you lean in, swept up in your desire to gain more information. I knew that Gabby Reece and Laird Hamilton were going to be interesting and powerful presenters, but something I will always take with me was their warmth and depth of care. They made each person feel special and interesting throughout the duration of the trip. They pushed the participants, but not so far that individuals felt they were beyond their scope of ability. When I pulled myself out of the water at the end of the first day’s training, Gabby told me “good job” and I am pretty sure I had a goofy smile on my face for the rest of the night. There is just something really cool about an insanely talented and strong woman recognizing the fact that you worked your a** off in some pool training. You may roll your eyes and say that I have drank the Kool-aid and I will say, “umm yeah, would you like a gallon? I have some extras in my car…” To be honest, it’s really good cool-aid and it will keep your mobile and active until you depart from this earth. I had more than a few cool interactions with Laird; he encouraged me while swimming, chided me into paddle boarding (its not my favorite sport), and talked to me for a whole three minutes while I was in the ice bath. When it was time to say goodbye on Tuesday, I got a hug and kiss from this amazing athlete and he gave me some affirming and encouraging words for my training. Dr. Andy Galpin is the quintessential approachable, quirky, appropriately cocky scientist that you hope is your neighbor one day so your kids can go over to his house and bug him with crazy questions that he knows the answer to (that is a normal description, right?). Andy was interesting and taught me a ton in his one-hour lecture on his work. If you are interested in rocking out your life until your 80’s (not just scraping by), check out his awesome youtube channel and learn everything you need to know. Dr. Andy was one of the staff members who kept me sane throughout my (up to) 3-minute ice bath sessions. Dr. Donna Diaz was also present to support us as we experienced the heat and ice training. She was another female role model who kept us moving and striving for completing what we could to allow us to get the most out of the experience. Donna was also there to support us in workouts and other various activities! She is a chiropractor and would take the time to pull participants away for a quick adjustment or massage session to make sure everyone was feeling great. I must admit I was pretty cocky going into the functional/mobility workouts (ashamed to type that), but Coach PJ Nestler quickly crushed any pride I may have had in that area and I am so grateful he did. Turns out even if you teach mobility classes you are still apt to need help in maintaining the proper posture and form during a standard tabletop or bear crawl position. Don’t even get me started on how the deadlift training went while we were in the gym on the second day. Just know if you THINK you are doing a movement correctly, spend about 5 minutes with PJ and he will have you close to tears with a 20 # weight in your hands. Let’s be real though, he was seriously so kind and took the time to listen to my queries around core activation and breathing. In addition to receiving coaching from PJ, Bryan Diaz, CrossFit athlete and trainer delivered a great training session to us at MuvStrong gym as well as supporting us in most of the workouts we did throughout the three days. He is an attentive and interesting instructor who kept me moving and focused. His authentic and easy-going vibe left me feeling like I was doing much better than I probably was (lolz). Last but absolutely not least, other staff members were there to create a fluid and amazing experience for all of the attendees. Among other staff members, Jenn Castillo and Chuck Glynn worked freakishly hard to ensure that everyone stayed safe while having fun. I was very impressed by not only the attention to detail but the level of energy that was given to each event to make it successful. I am sure there were random hiccups but they didn’t panic or cause any scenes, Jenn was steady and in control. Chuck had a boundless amount of energy, once remarking that the steps counter on his watch will get up to 60K steps at some events (in one day). He is also a freakishly good SUP boarder/Waterman (I received some timely coaching on this while struggling in the water at the beginning of our SUP session). Thanks, Chuck! I also walked away from the experience with more than a few new friends. When you sweat together, get cold together, eat together, and swim together, a special bond is made. I know I will see my New York friends again! Its only a matter of time before I feel the need for some more time in Montauk. This can be increased through high intensity interval training and must be done at least 1-2 times a week. VO2 max is the maximum amount of oxygen you can breathe in and utilize. More information about that here. Go to 45:50 of the podcast to hear about VO2 max and your future health. In the same way that you wouldn’t do the same workout for 20 years, eating the same foods for 20 years can have deleterious effects on your health. Consume a wide variety of food with a lot of diversity (doesn’t mean you eat crappy food), just means you alter your carb intake and fat intake. Maybe sometimes you eat a higher percentage of carbs or maybe you do that with fat. Try to eat a variety of fruits and vegetables from different areas of the US and World. And I am 100% sure you could as well (unless there is some medical reason that prevents you from doing so). It really is a mind over matter kind of thing. If you choose to get your body to calm down and do it, you will do it. But if you can’t get your brain around it, thats okay too! Just know that it IS possible. Look at me not dying! Coach PJ killed it in this area. I was humbled by his instruction and inspired to continue seeking quality in my movements. A lot of people are under the assumption that they need a ton of reps to see improvement in their body. Unfortunately all this does most of the time is reinforce poor posture and incorrect activation of muscle groups. Get into the correct position and do a couple solid reps, and then repeat, that is what your body is needing. I need to remind myself of this quite often as I often find myself rushing through workouts for no good reason. If you are considering attending at XPT event in the future and have the means to go, I 100% believe you should go. And just so you know, even if all of the staff I have mentioned aren't there, XPT always has high quality humans running the show, you will not be disappointed! If you currently do not have the means to attend, you can seek out information from these instructors and read all about XPT activities online. They even have daily programming online that you can follow. Through my training with XPT I was able to leave with a higher level of confidence and focused attention on my physical and mental health. I believe that your mental health can be improved through deep connections with people, rigorous exercise, and a balanced diet. This trip had all of those things rolled into one trip and it was amazing to experience the after effects for my body and my mind. We all have the tools to age well, we just need to learn how to employ them in our daily lives. Utilizing these tools means that you are consistent in your physical training, nutritional choices, and your awareness of your breath. If that feels overwhelming to you, pick one thing to focus on and see how it goes.